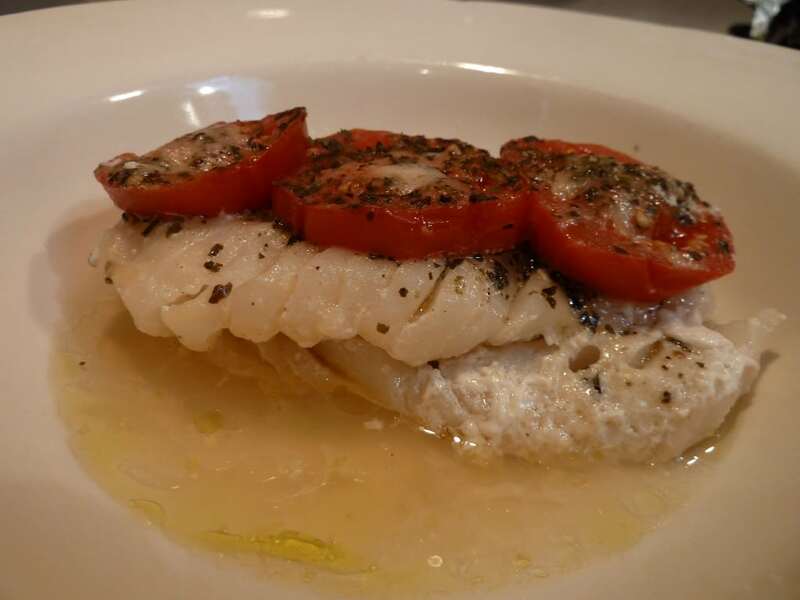 I had no idea what to make for dinner, but I did have some halibut fillets in the freezer. 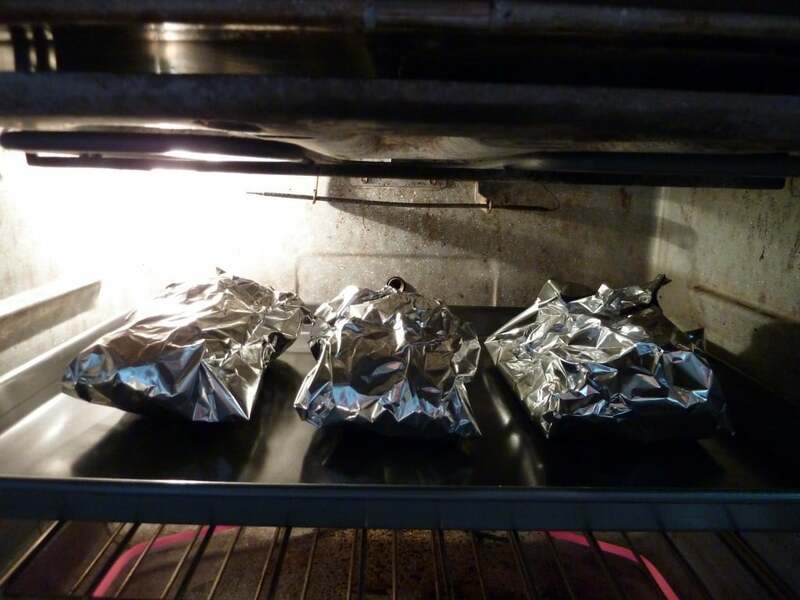 So, I took them out to thaw and went to my Mother’s cookbooks and found a recipe for “Halibut steaks in Foil”. Preheat oven to 400 degrees. 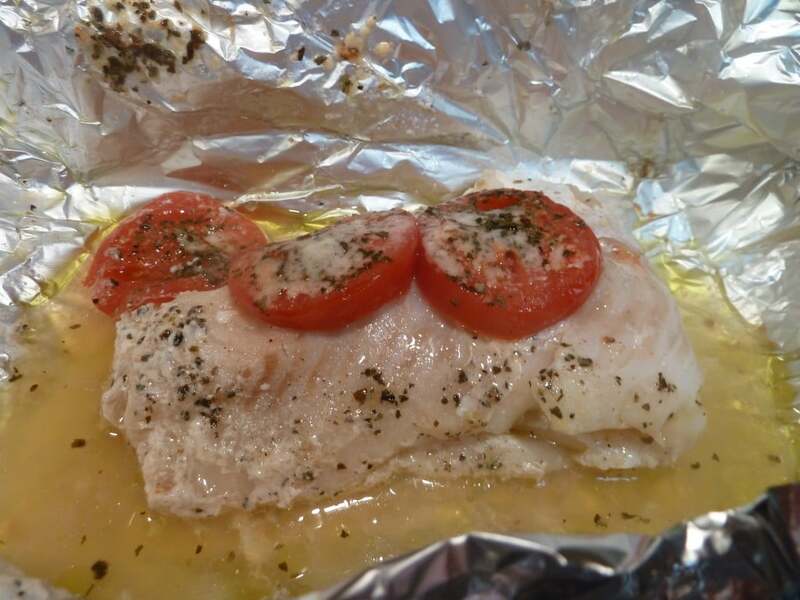 Place each piece of fish on a large piece of foil. Drizzle with olive oil. 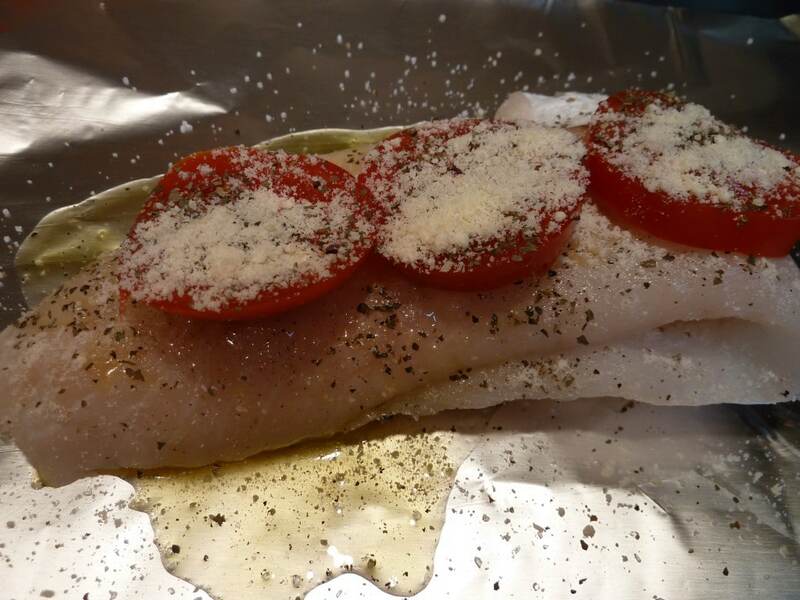 Top each with salt, pepper, basil, tomato slices and grated Parmesan. Fold and seal foil. Pws borw na parw tin mageriki Lentils to Lamb apo tin ekklisia? Mipos ehetai website na parangilw???? I am having a little trouble translating your “Greeklish”. Are you asking me about the cookbook, Lentils to Lamb, from the Assumption Greek Orthodox Church? That looks great, the last 2 times we tried to bake fish it turned into a gross soup like consistency, I think we over cooked it. I will try this method the next time! Good luck. Let me know how it turns out!